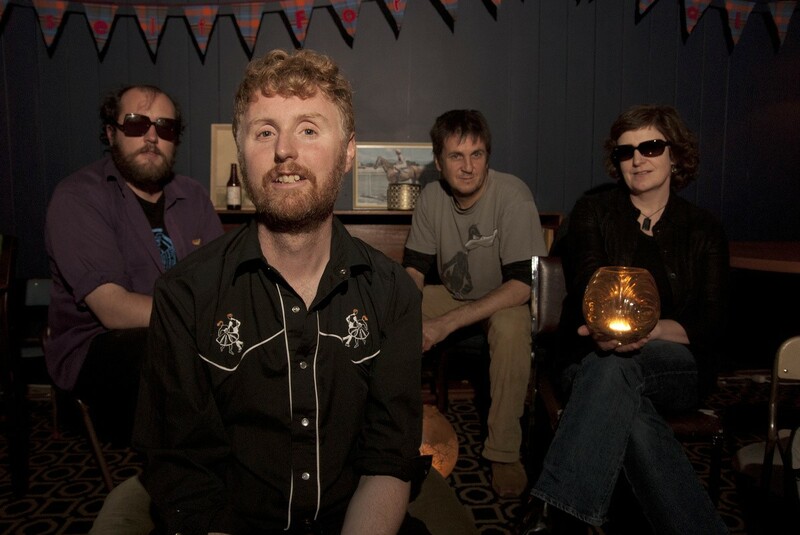 Although based in Wellington, three quarters of MarineVille hail from Dunedin, and drummer Greg Cairns and bassist Denise Roughan were both in bands associated with the first wave of Flying Nun Records – Greg formerly of Verlaines, King Loser, The Renderers and Bonnie Prince Billy) Denise (3Ds, Ghost Club). Jeremy Coubrough you may remember from Tlaotlon and Mark Williams from Bad Statistics, Cookie Brooklyn and the Crumbs and Baa Baa And the Black Sheep. Early releases include DIVING THE WRECK (2004 Involve Records) and READY FOR THE DANCE (2001 Oak Park Records). MarineVille released their 3rd album FOWL SWOOP (12″ LP/CD-R) in 2011. Their 7” FACE/EAT TOAST was named by Byron Coley in Wire Magazine as one of the top 10 singles of 2012. 1012 also saw the release of cassette 15 WAX TEARS on Epic Sweep Records. The band’s latest statement, PENGUINS ATE MY CHIPS, an album that was first released as download on Bandcamp in early 2016 and a few weekslater in cassette format, will be put out on vinyl by Zelle asap! Sessions for this album began in the bands Wellington warehouse, nestled inbetween a local gang headquarters, an animal sanctuary and a meth-crazed neighbour who was eventually arrested for driving on a child’s motorcycle whilst waving a sawn off shotgun. PENGUINS ATE MY CHIPS was mixed and mastered in Dunedin by Forbes Williams. Ready for the Dance (CD, Oak Park 2001). Klick HERE for Artist Trove‘s text on MarineVille.